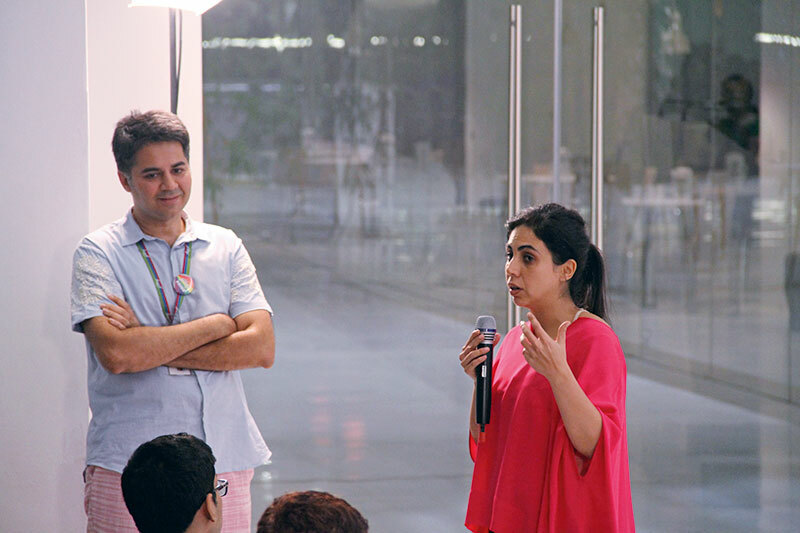 Last month, at a packed event at our Culture Lab, my dear friend Radhika Piramal spoke to an enraptured audience about her journey of coming out of the closet. It was a moment of great pride for me and I wiped away tears from my eyes while listening to Radhika’s narrative of coming out, first to her own self, then to her family and eventually, to her work colleagues. Over the past few years — the world has made huge progress in terms of LGBT rights. In many countries of the world, LGBT citizens have exactly the same rights as their heterosexual counterparts, including the right to legally marry, and in countries with newer constitutions like South Africa and Nepal, LGBT rights have been enshrined in these constitutions. In our own India — the situation has been complicated because of the confusion surrounding the legal status of homosexuality. There was, first, a historic 2009 Delhi High Court verdict that decriminalised homosexuality, then a 2013 Supreme Court verdict that reversed this decision, and following this a positive 2014 Supreme Court verdict for transgender rights. While the courts figure things out, there are sweeping changes that continue to take place on the ground. Another of my friends, the film-maker Sridhar Rangayan, has made a wonderful documentary called Breaking Free, which catalogues LGBT activism in our country over the past 25 years. But beyond the efforts of activists, NGOs and lawyers fighting in courts, changes are taking place in two other key zones — our workplaces and homes. In both these spaces, so many LGBT Indians are choosing to come out and, in the process, embrace their whole selves. The workplace is vital. There are so many people who, because of fear of family rejection, remain closeted at home, but garner the confidence to come out at work. More and more Indian companies are becoming supportive towards their LGBT employees. For me personally, as an ‘out’ gay person working at Godrej, having my company’s support does give me a lot of confidence. This year, on International Day Against Homophobia, my boss Nisa Godrej sent out a powerful email to all employees in our company which stated that “there is no place for prejudice at Godrej, only space for open minds and hearts”. Her message filled all of us with pride — both gay and straight employees — knowing that we were working for a group that believes in equality for all. Why is coming out so important? People have asked me this many times, and Radhika framed it beautifully when she spoke at our Lab about how we are such community-oriented people as Indians. We like to talk about our spouses, children and parents. So why should LGBT people be denied this right to share their full lives with their colleagues? The workplace is significant, but once you have your family’s support at home, the sky is the limit. 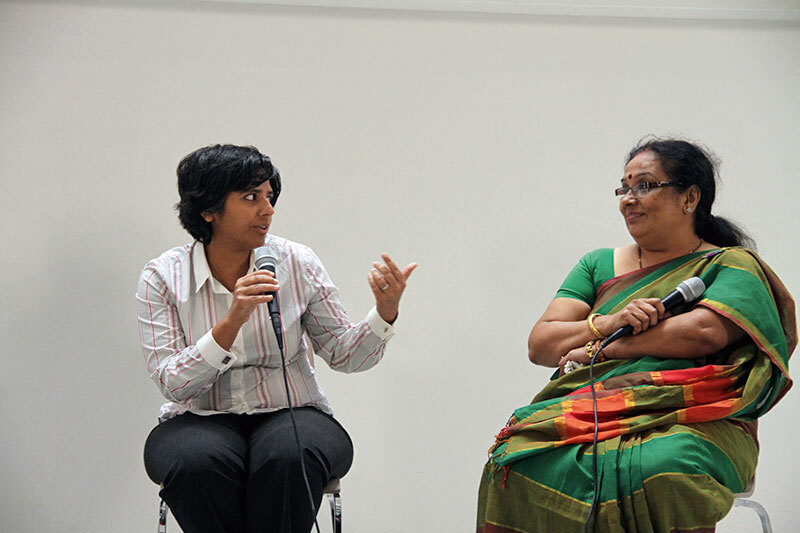 Another of our panellists who shared the stage with Radhika at our event was Padma Iyer. She spoke simply and powerfully about why she put out a newspaper ad for her son Harrish in the matrimonials section, so that she could help him find a partner who would be there with him after she was no more. She declared that she would have done the same if he was heterosexual so what was the big deal about searching for a groom for her son instead of a bride. There are many such heart-warming stories of acceptance taking place across homes in India. Consider the story of Rani Sharma — the wonderful 71-year-old grandmother of Delhi’s Sambhav Sharma who is now the symbolic dadi of India’s LGBT movement. You might have seen this dadi cool on NDTV news debates, on Satyamev Jayate with Aamir Khan, and in the newspapers. Wherever she goes, she simply states that she will fight for the right for her grandson to have the same rights as other grandkids in this country. Or consider the parents of Gazal Dhaliwal, who also appeared on the same programme, supporting her transition whole-heartedly. In all these cases, I am struck by how, for all these parents, the sexuality of their children is in a sense incidental. All these parents just want to accept their kids and find happiness for them. And isn’t that what good parenting is? Eventually, our courts will catch up — but for now, full power to these pioneer parents who are, in a significant way, parenting the new India ahead of us. Speaking of parenting, one of my highlights at this year’s INKtalks (once again, fabulous women achievers like Nina Tandon who grows living human bones for skeletal reconstruction, ethnobotanist Annama Spuddich and so many others) was hearing Facebook India CEO Kirthiga Reddy talk about what she learns from her daughters. In a funny and insightful speech at the end of which her wonderful daughters joined her on stage, Kirthiga spoke about how one has to expand — from the tyranny of “or” to the possibilities that an “and” can provide in one’s life. As a Verve reader, you probably know this. Yes, you can be both — a good mother and a good worker — and balance multiple existences by ‘leaning in’ when need be, and by counting on your spouse or other support systems when necessary, but still it is nice to be reminded of this occasionally, especially when the speaker doing the reminding is someone who is on every power women list in the country and the world.